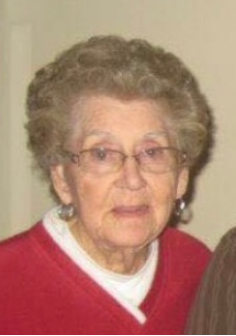 Flora “Colline” Reynolds, 89, of Hutchinson, formerly of Lyons, passed away March 28, 2019 at Brookdale, Hutchinson. She was born December 19, 1929 in Dougherty, Texas, the daughter of Ira John and Katherine Davis Ardry. She graduated from Floydada High School, Floydada, Texas with the class of 1948. Colline has resided in Hutchinson since 1997, formerly of Lyons. She was a clerk for many years at Bunting Dunlap Pharmacy in Lyons. Colline enjoyed cooking, sewing, and gardening in her spare time. On September 11, 1949, Colline was united in marriage with Clarence M. Reynolds in Borger, Texas. He preceded her in death on December 10, 1994. She is also preceded in death by her parents and brother, Damon Ardry. She is survived by her three daughters, Sonja Gregory and husband Roger of Borger, TX, Brenda Wilkins and husband Ron of Richardson, TX, and Cathy Wilkins and husband Dennis of Hutchinson; sister, Teresa Gorham and husband Ron of Sioux Falls, SD; five grandchildren; and seven great-grandchildren. Graveside service will be 2:00 P.M., Saturday, March 30, 2019 at Lyons Municipal Cemetery with Pastor Larry Schumacher officiating. Visitation will be from 12:30 until 1:30 P.M., Saturday, March 30, 2019 at Birzer Funeral Home, Lyons with family present. Memorials may be given to Alzheimer’s Association in care of Birzer Funeral Home, Lyons.